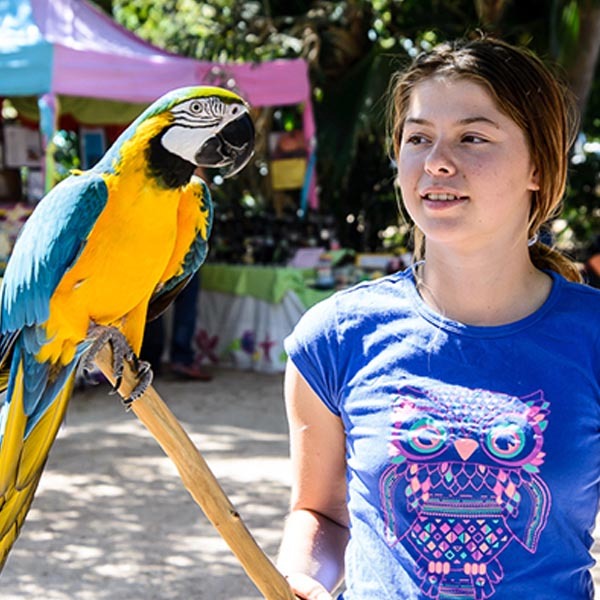 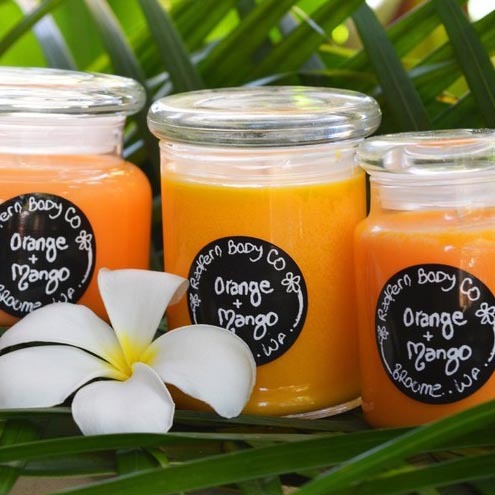 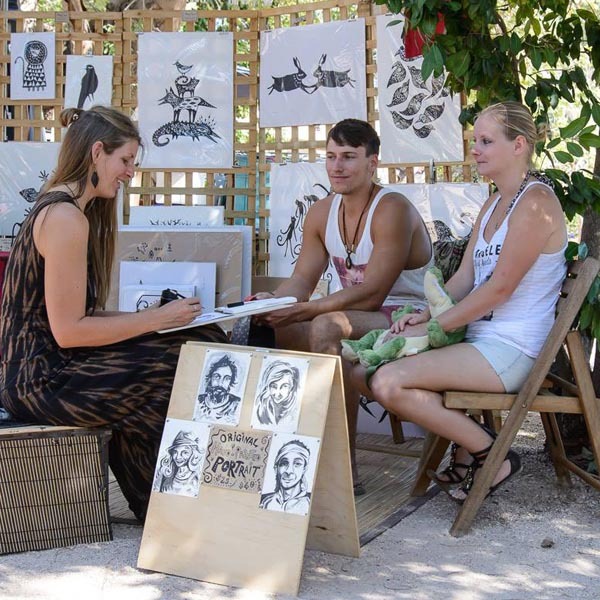 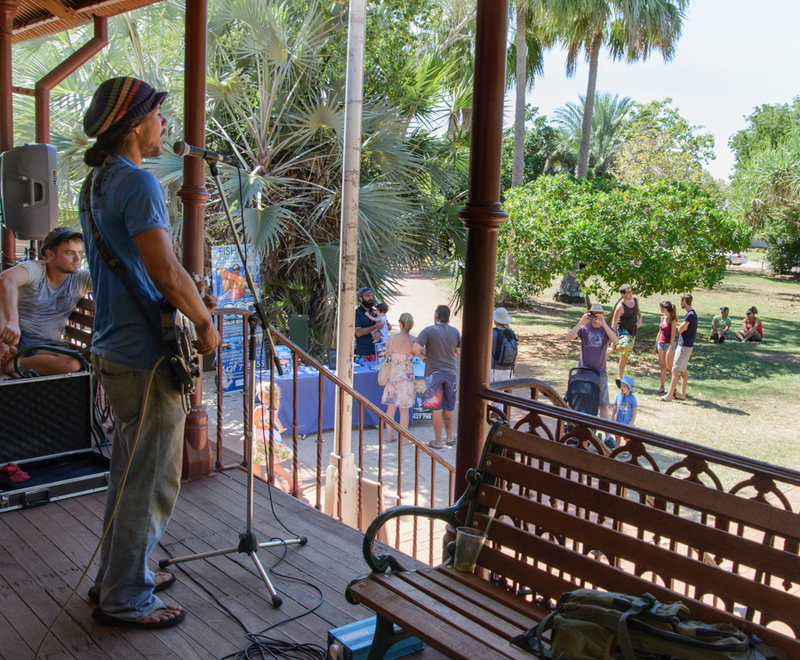 What better thing to do in Broome then laze in the tropical gardens of the Courthouse Markets to free entertainment and music. 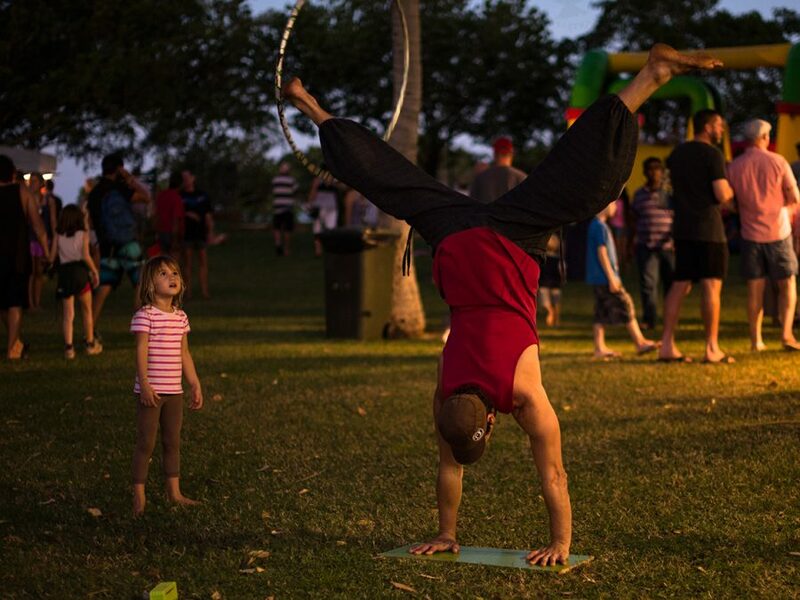 Or sit down under the stars at the magical Town Beach Night Markets to lip-smacking food, market stalls and infectious live music. 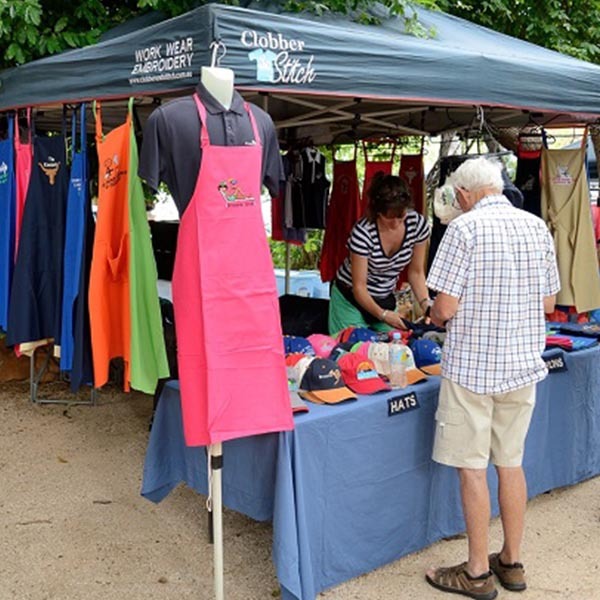 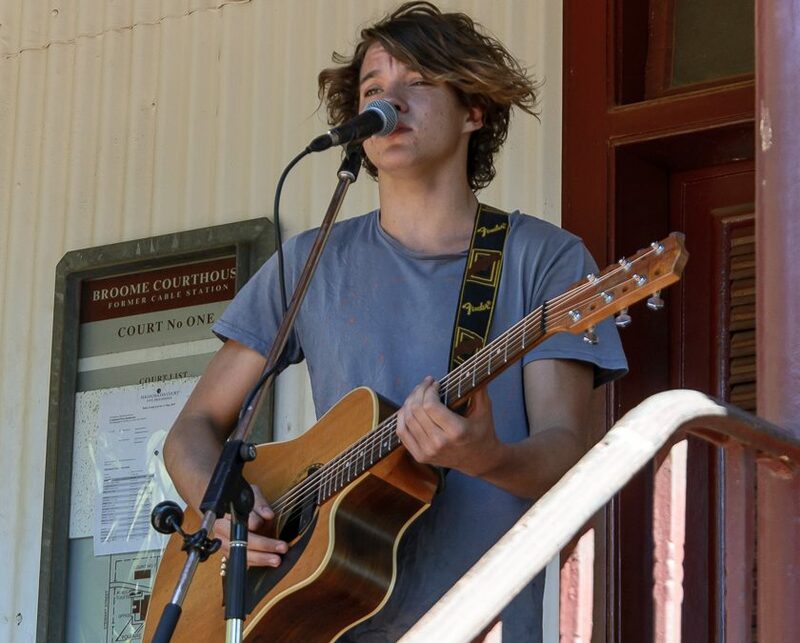 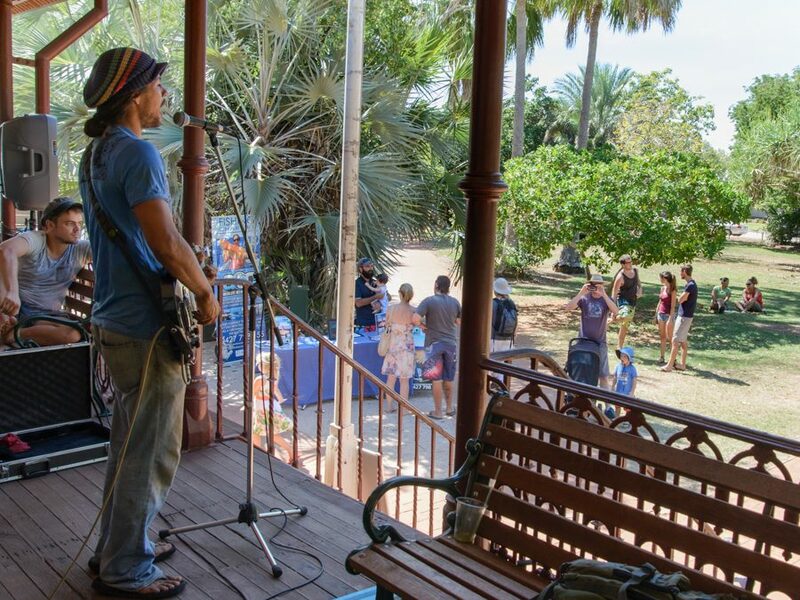 Every weekend at the Courthouse Markets local and visiting musicians play reggae, Broome calypso, blue, folk, bluegrass, folk, rock and soulful jazz from the balcony of the historic Cable House. 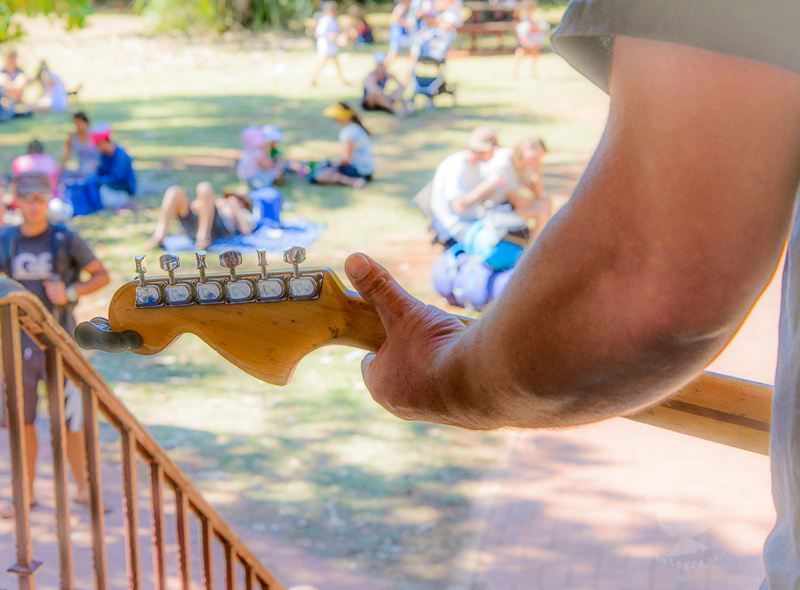 If its meeting friends or entertaining the family you will be humming to the tunes of live musician at the Thursday Night and Staircase Markets. 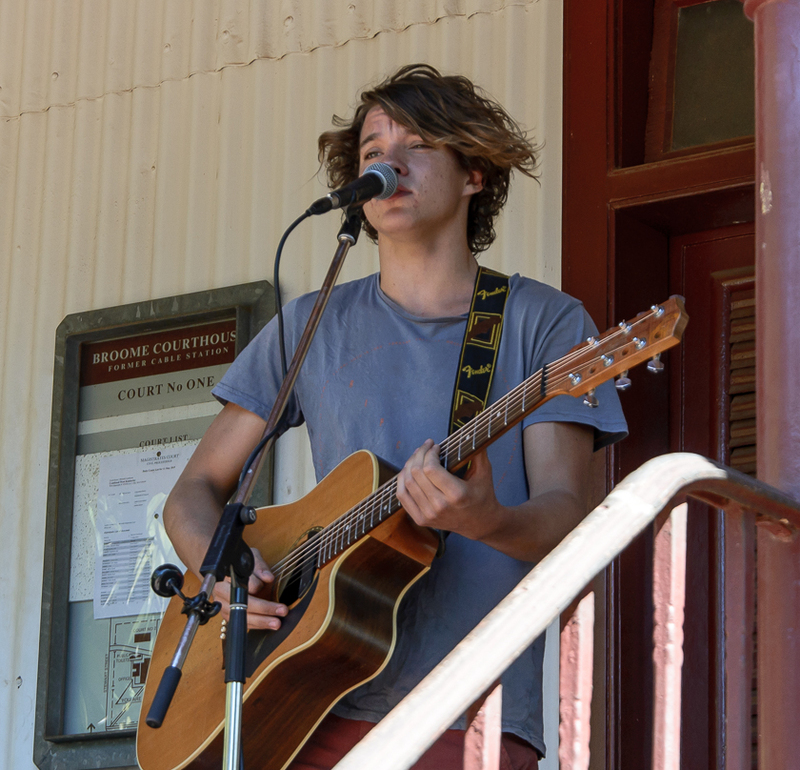 Indianna Waters is a 17-year old Broome Senior High School student who has been playing guitar and singing since 2010. 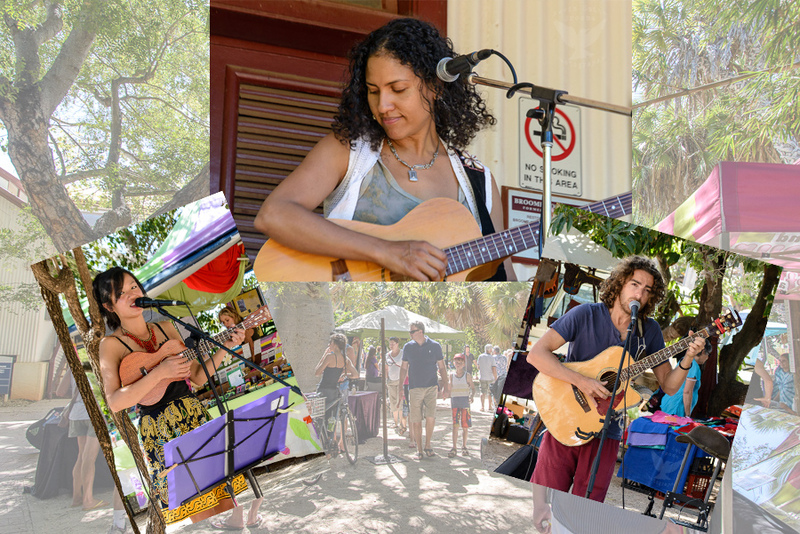 She regularly performs around Broome at the markets, balls, open mic nights, cafes and festivals. 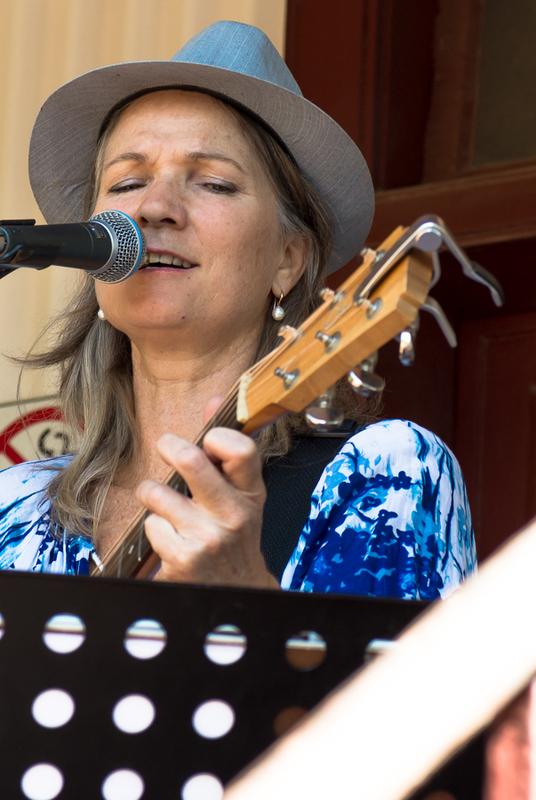 She’s the lead singer in Potshots who performed at the Saltwater Music Festival in February. 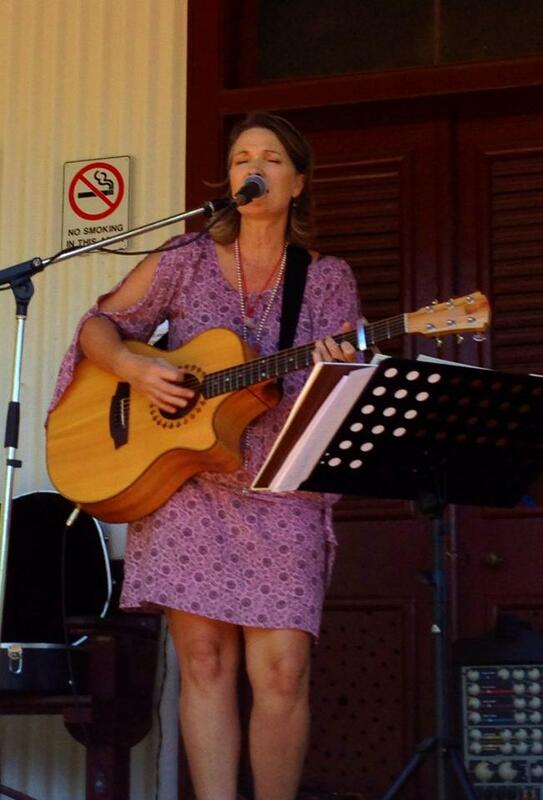 Most recently she was a support act for the Johnny Cash Tribute Show. 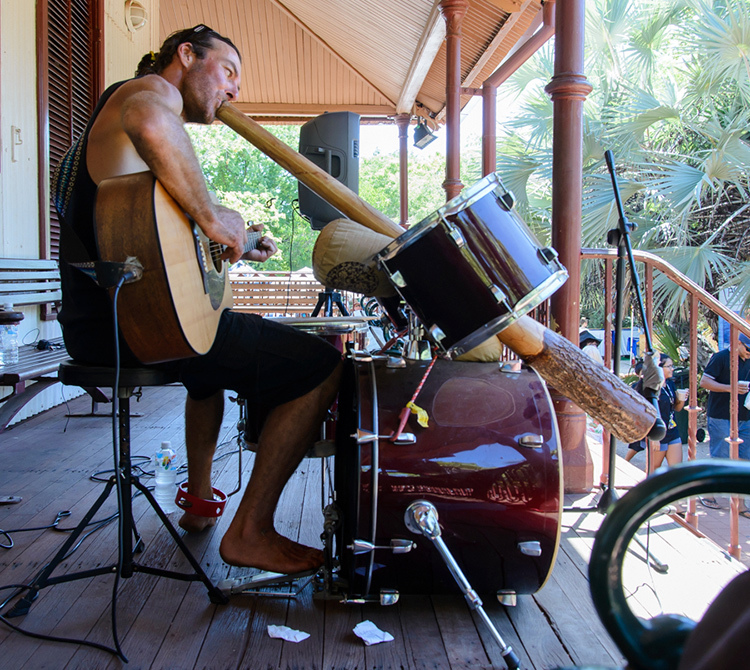 Australian brothers, VanderAa are producers, multi-instrumentalists, live performers and environmentalists who translate organic sounds of drums, djembe, beatboxing, didgeridoo, guitar, and vocals enhanced by technology that create compositions transcending realms of indie roots, neo soul and world music. 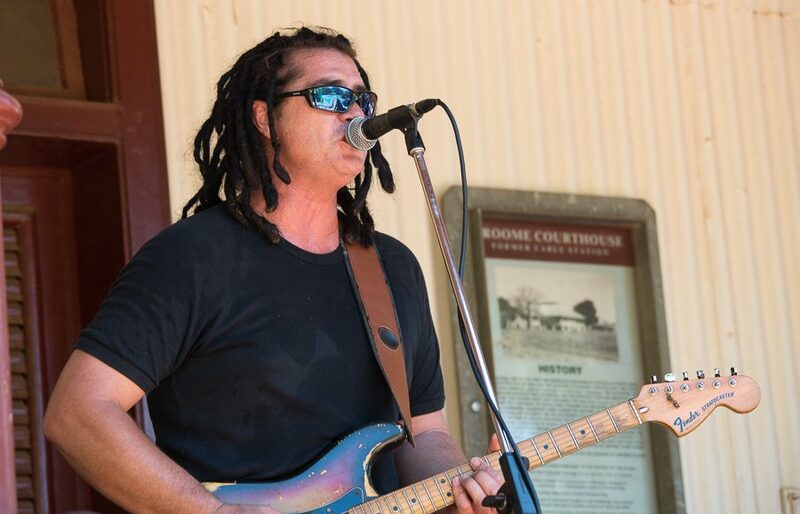 Dan Guidera started playing live blues, country and rock music in the 1980s. 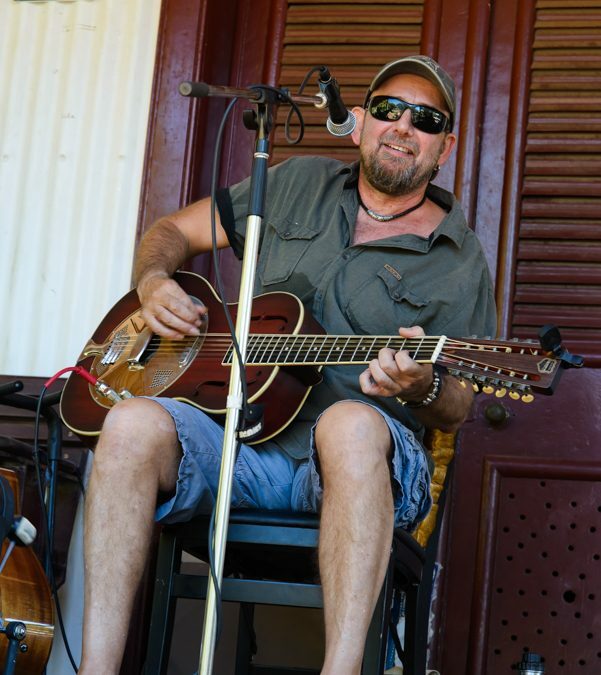 He co-founded stalwart Adelaide blues band the Smokin’ Crocs, played reggae/soul in NZ with Southern Soul, and recorded and toured with SA country-rock band the Radio Cowboys to name but a few. 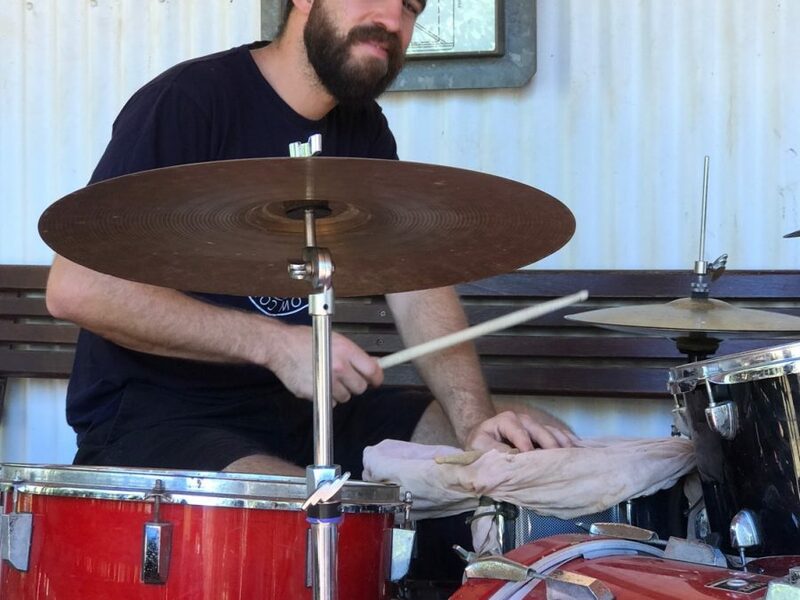 Since moving to the Kimberley in 2002 he has played over a thousand gigs, both solo and with Broome bands Little Red Wagon, North of the Rox, Ask Dad, Ghost Ship, Black Minx and Sheik Yerbouti. 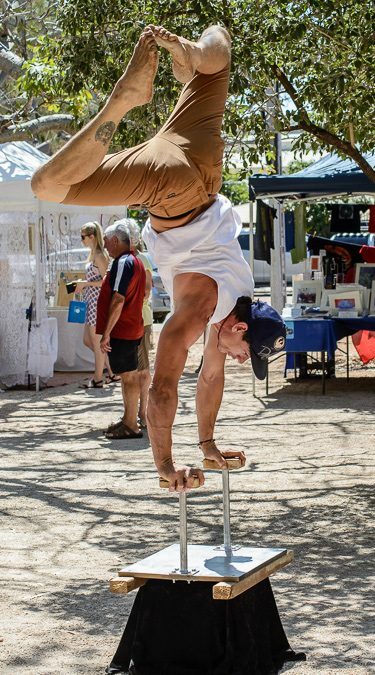 Eloy Cardenas hails from the tiny island of Providence in the Caribbean. 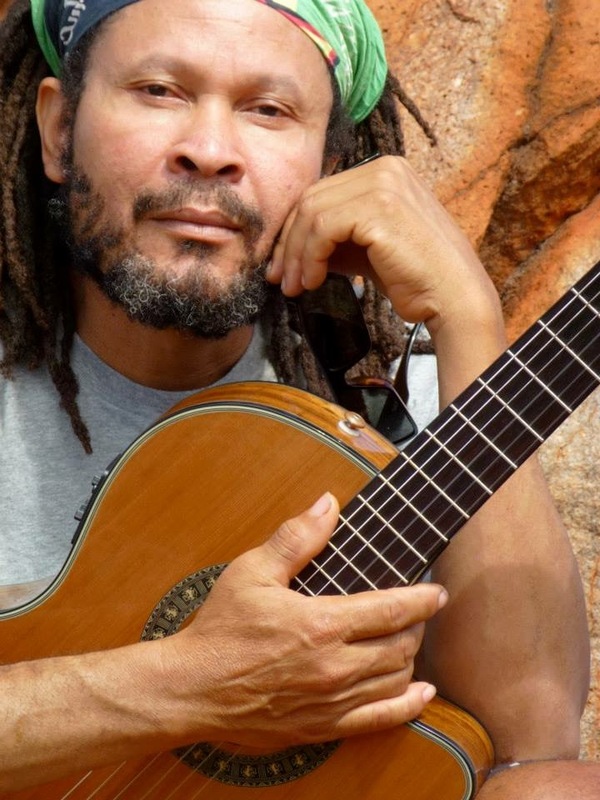 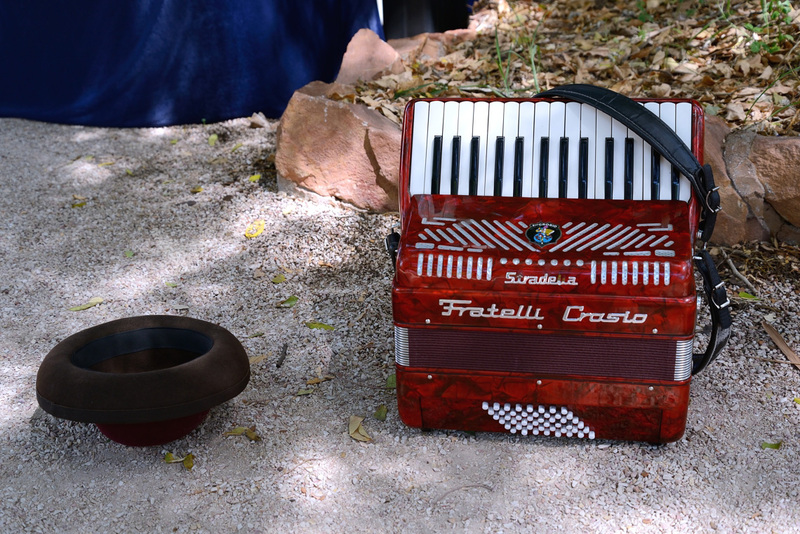 He grew up with island music, playing traditional instruments such as the horse jawbone and washtub bass. 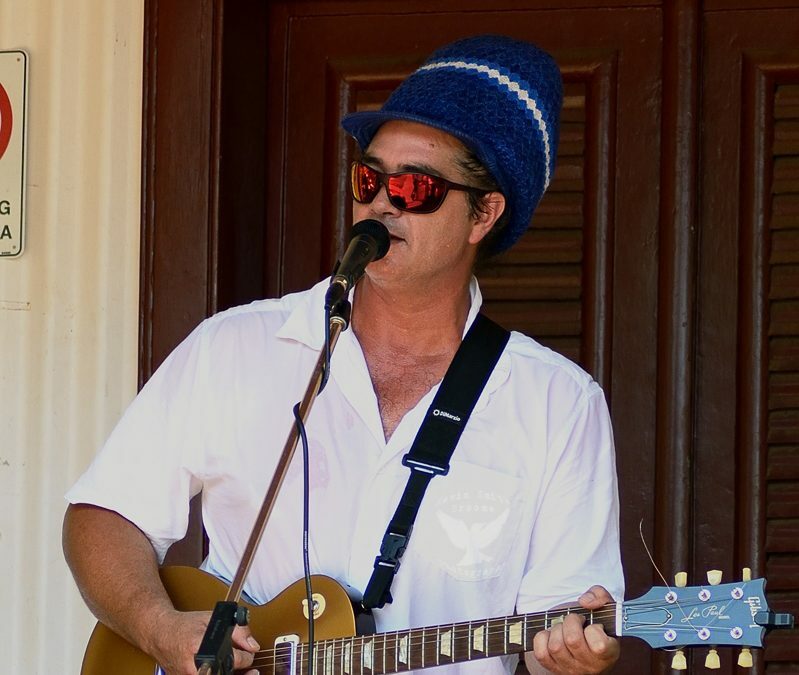 His family are the musical mainstay of the island, and family band ‘The McLean Brothers’ regularly appear in festivals across the Caribbean and in Colombia. 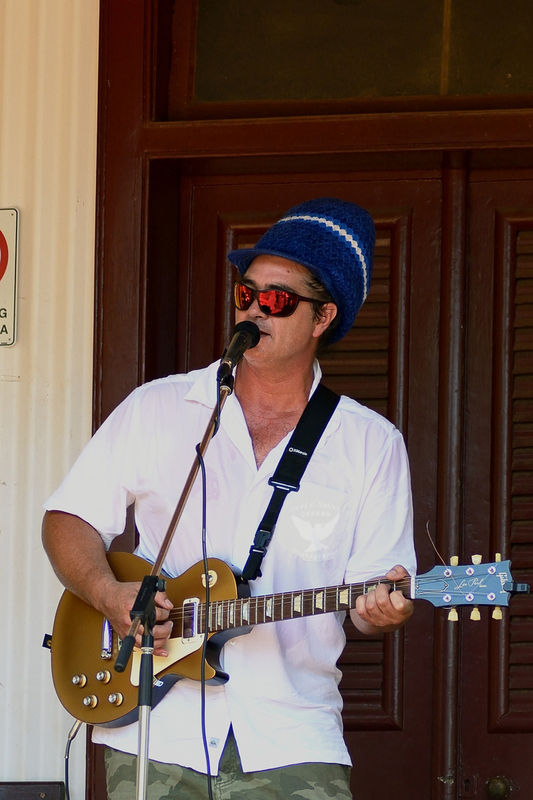 Reviving reggae in old Broome town, The Mexicans are a reggae band from Broome WA. 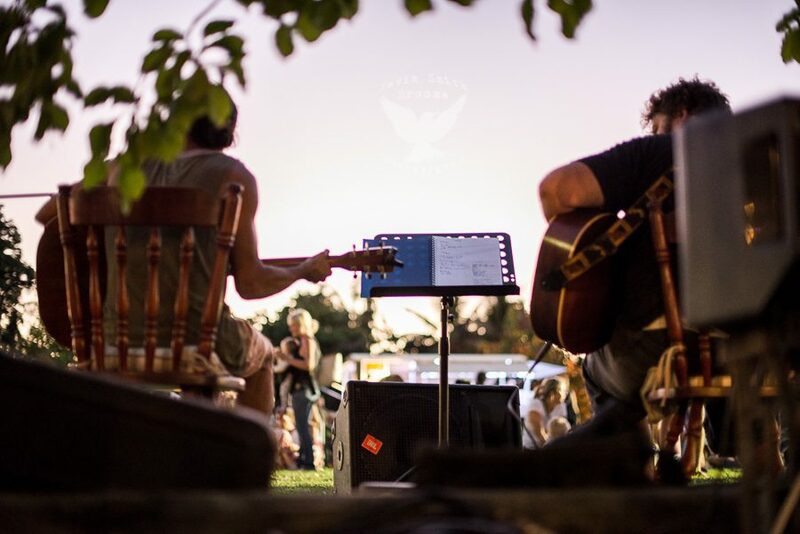 Their concerts always feature a full house of happy people and a full dance floor. 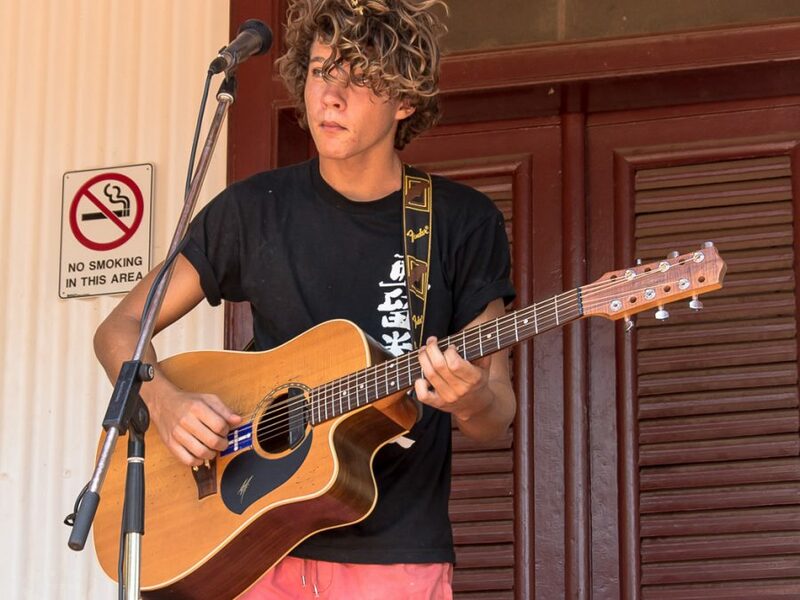 They write songs about life in the Kimberley. 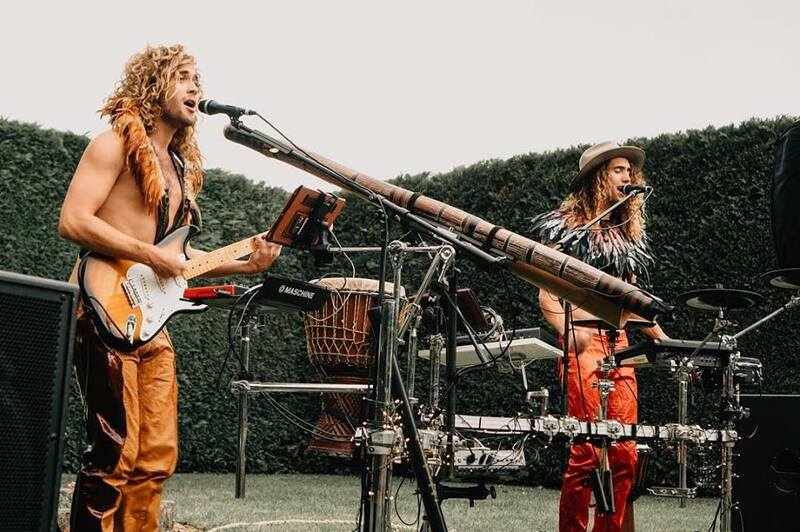 With keyboards, bass, drums, sax and two guitars and everyone shouting and singing, the band brings a refreshing groove to our region. 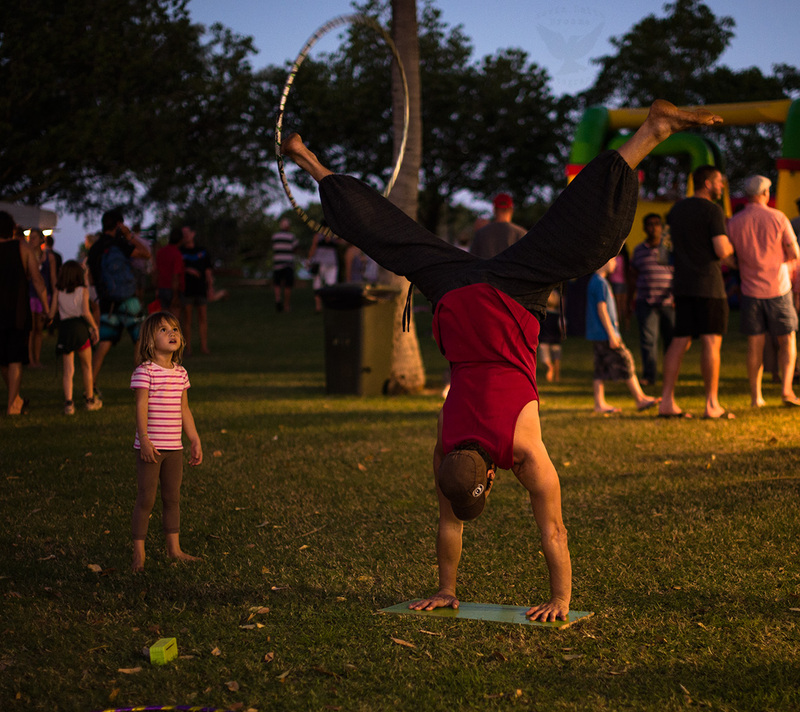 What do you get when you combine LOUD Rio-Style percussion, a panopoly of rainbow-hued circus costumes and the collective joy of many impassioned community members? 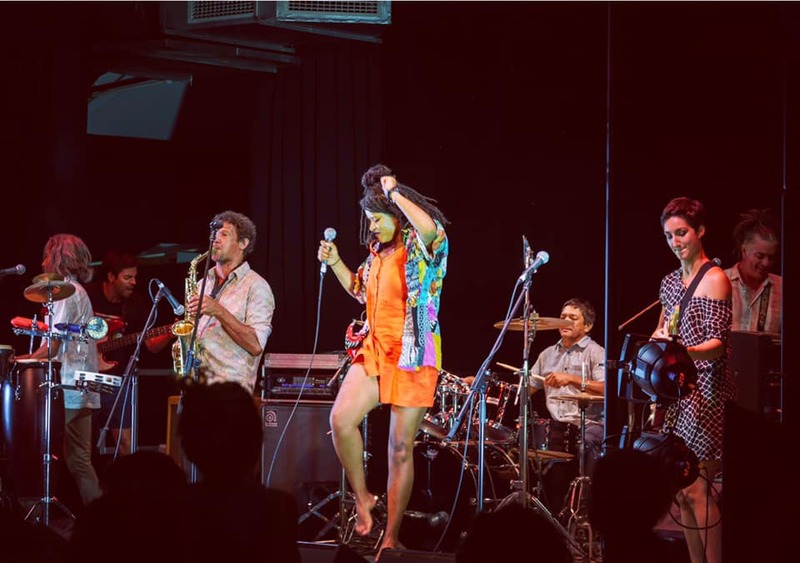 The performance phenomena that is WASAMBA!! 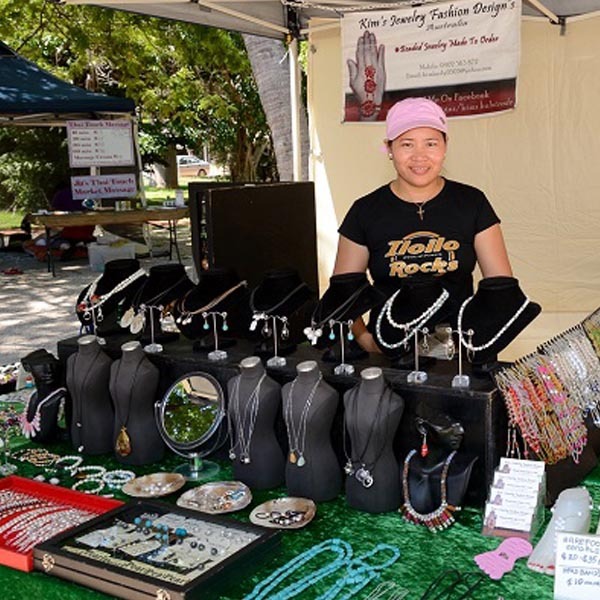 WASAMBA!! 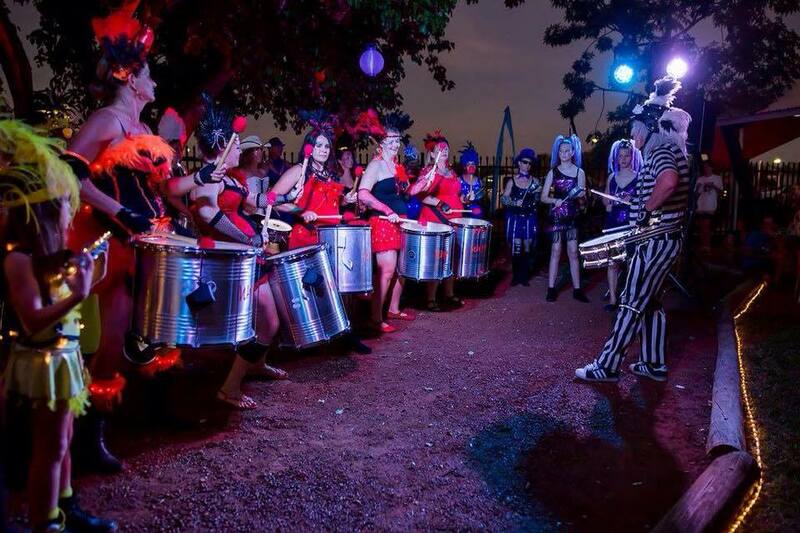 is a diverse group of WA people who have one thing in common – they love getting dressed up in crazy and colourful carnival inspired costumes and playing LOUD percussion rhythms based on Latin American samba music! 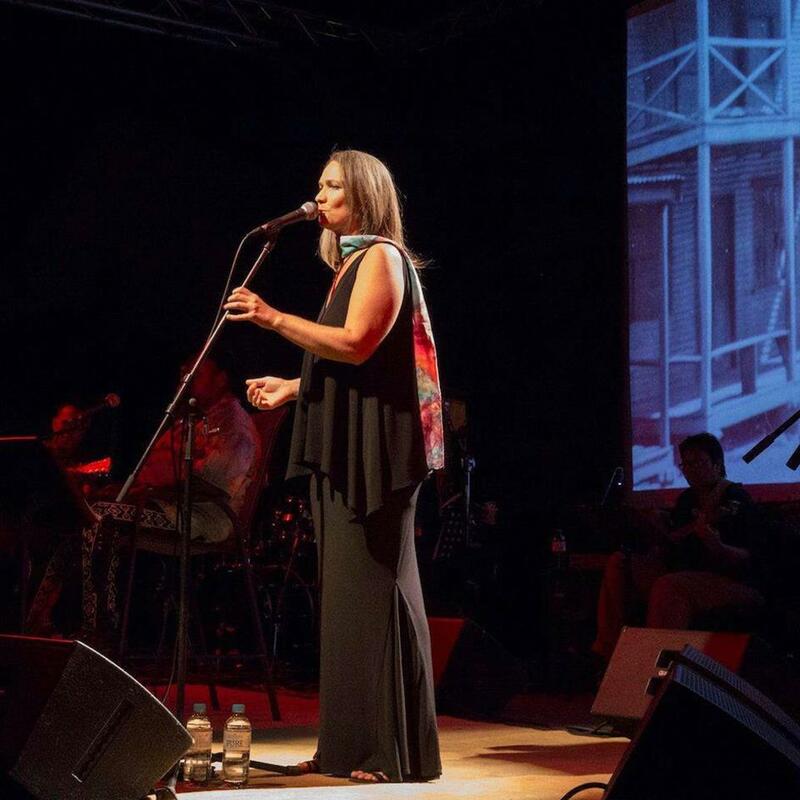 Becca Choisy with Tonchi – A performance not to be missed! 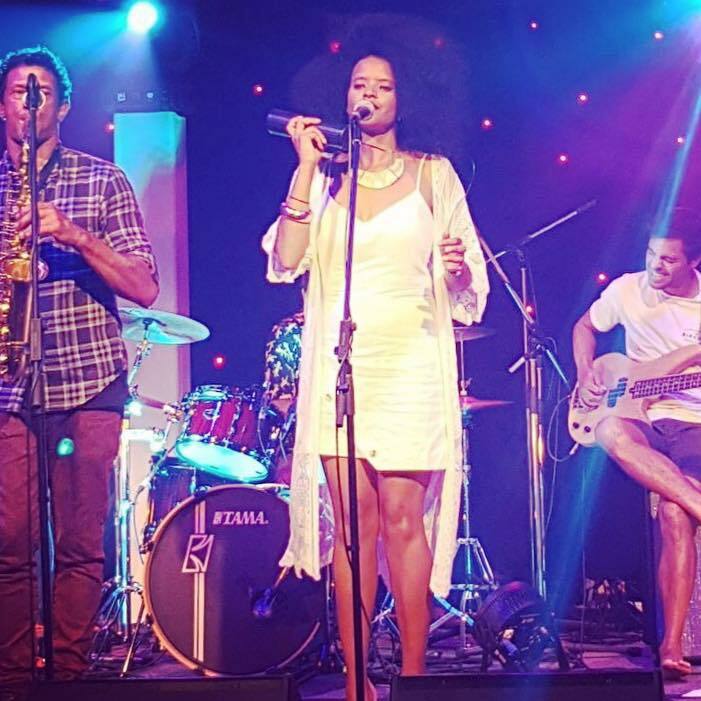 The incredible Caribbean dancehall singer, Becca with backing from Tonchi aka The Mexicans. 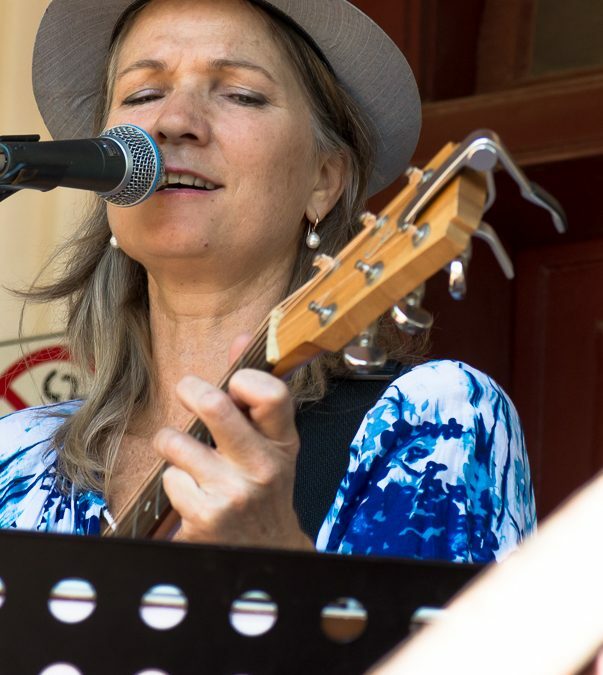 Kimberley songstress Tanya Ransom returns to the Courthouse Markets after taking her soulful folk blues around the country after the highly successful release of her sophomore album ‘The Art of Departing’. 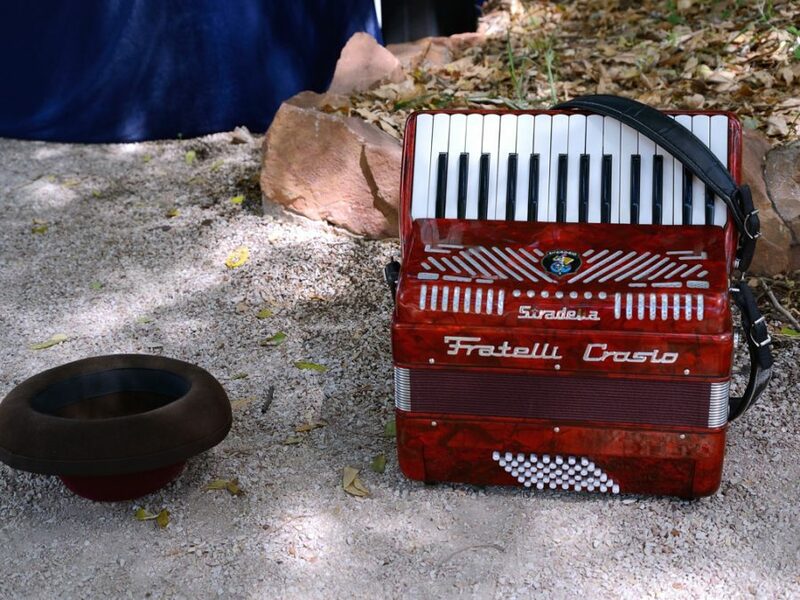 This beautiful lamenting album brought a string of Western Australian Music nominations for the second time. 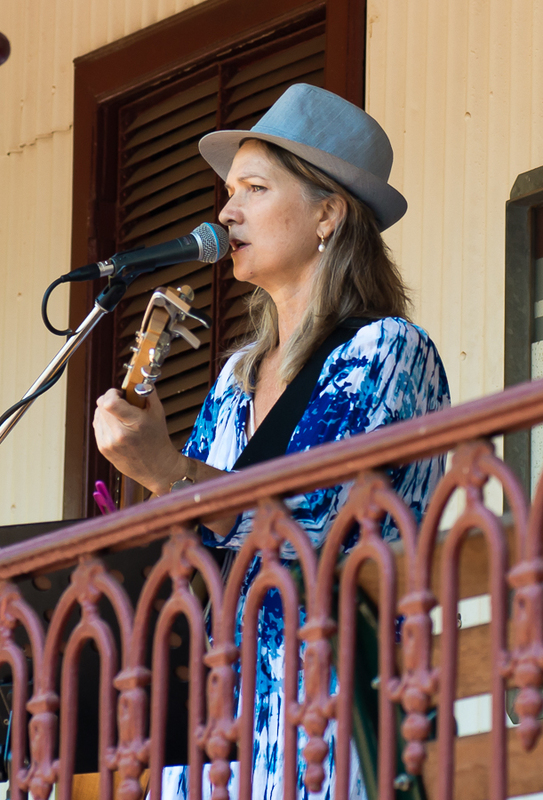 Tanya has performed at multiple festivals and toured nationally; sharing stage with artists such as John Butler, Stephen Pigram, Missy Higgins and Dave Mann. 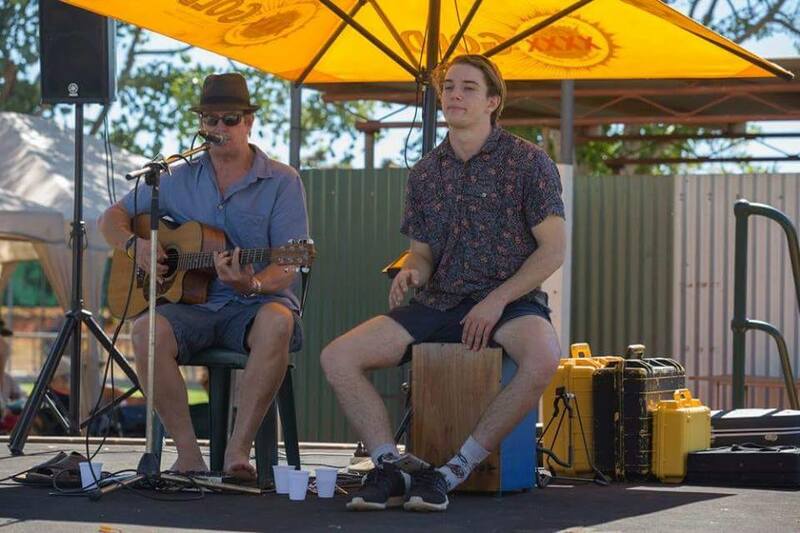 Double Mac and Cheese, Father and son, Scotty and Darcy McDougall are together again bringing the chilled out vibes back to Broome! 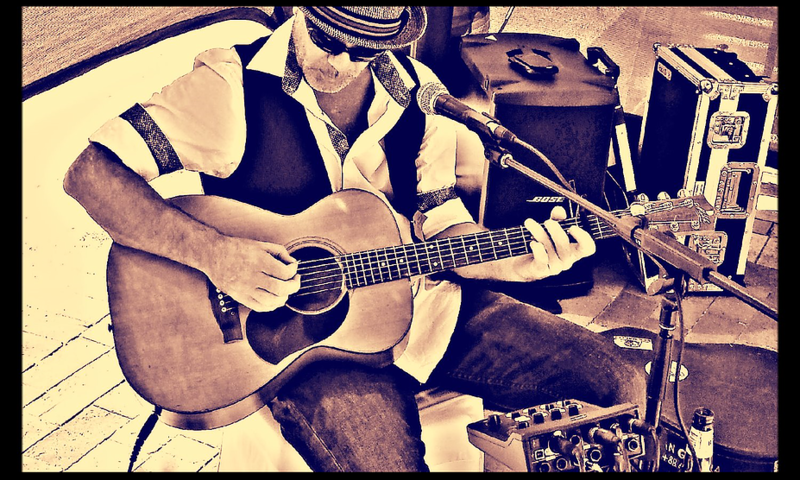 Accomplished guitar player,singer, song writer , Steve Angoorly has released five albums covering everything from ballads, rock and country /blues. 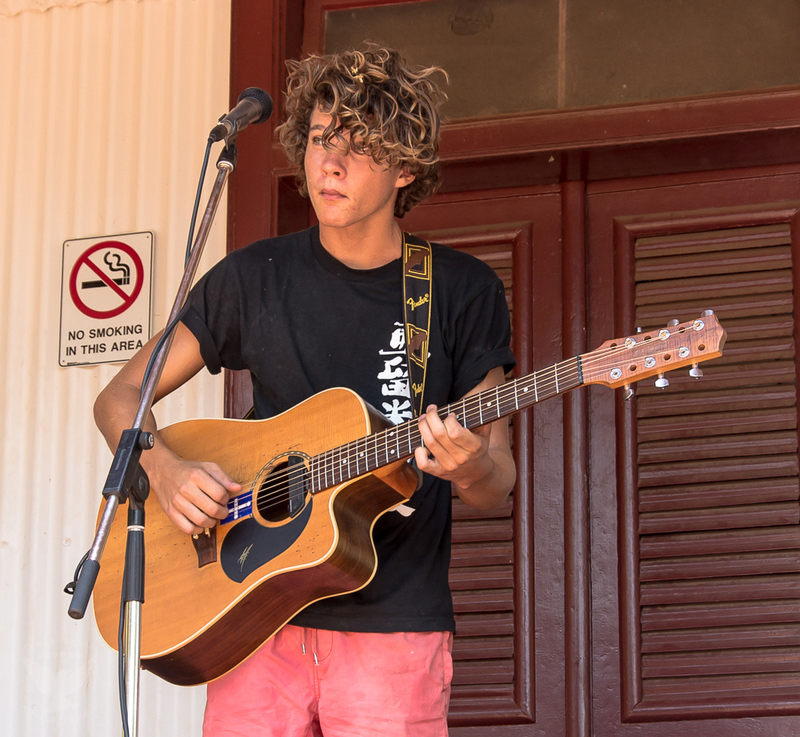 Hailing from the red desert and blue waters of Broome the country has taken a place in his heart and his songs. 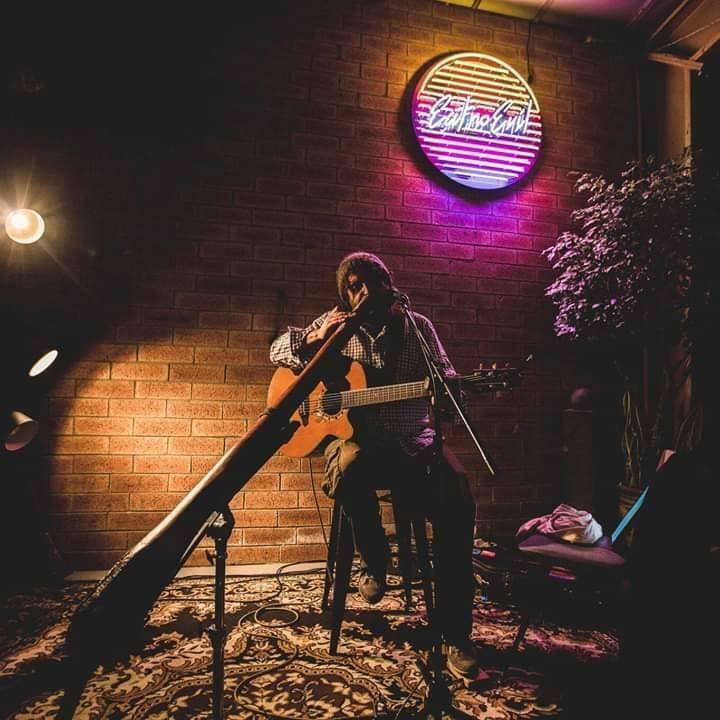 or studying music in LA at Guitar Institute of Technology, continuously learning the craft of guitar and songwriting. 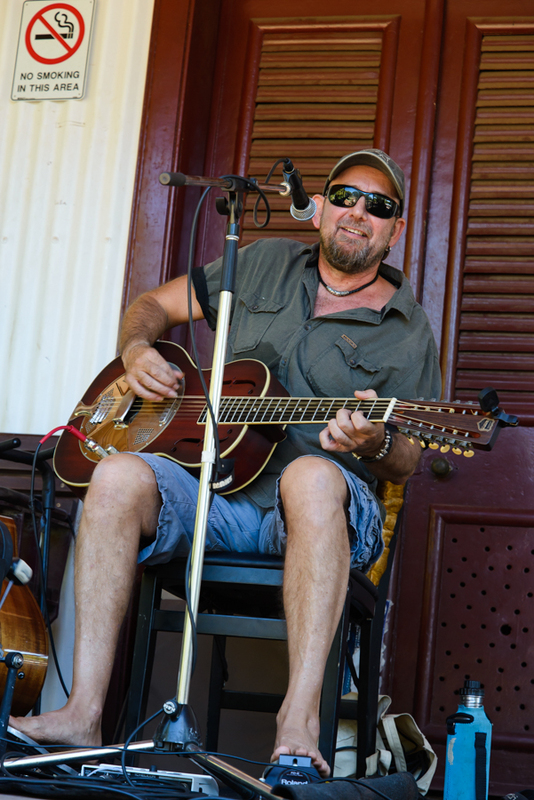 From performing regularly in his home town of Melbourne and the East Coast, in 2011 Stu hit the road,heading to Western Australia,for what was meant to be a 6 month tour……turning this musician into a non stop touring artist. 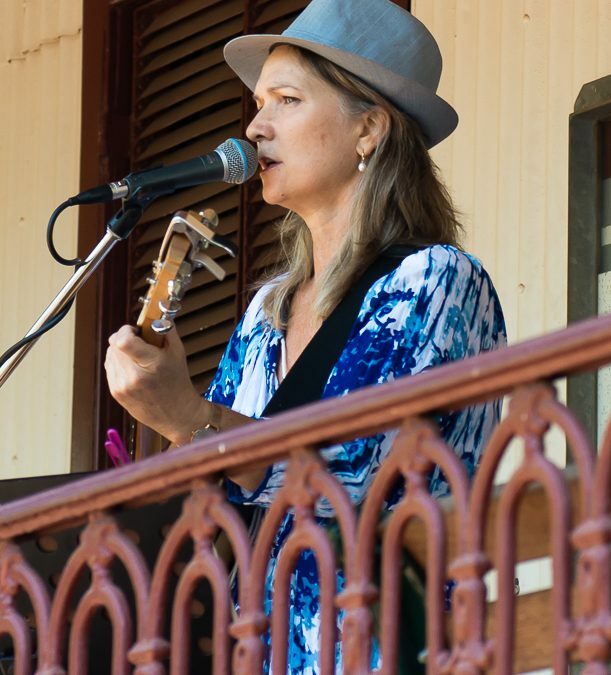 Susie Quicke – Singer, song writer, musician, the indelible beauty Susie Quicke – original gangster and Broome town songstress. 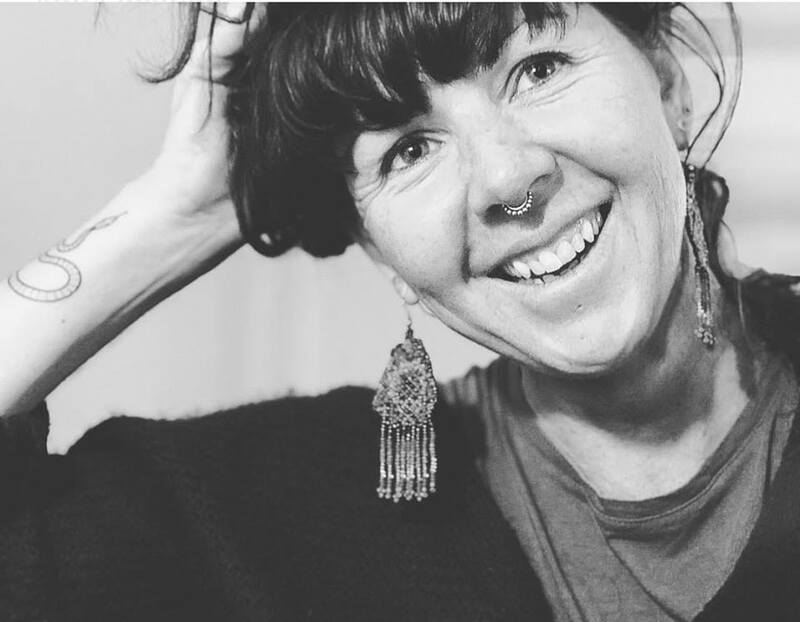 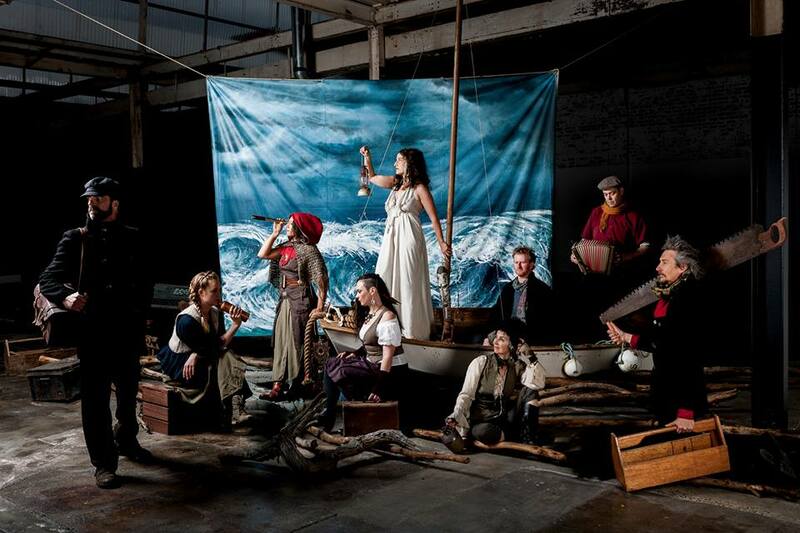 Lucy and the Night Sky is a 9-piece band from the Surfcoast of Victoria that creates lush, otherworldly music to the original songs of classical pianist and singer, Lucy O’Grady. 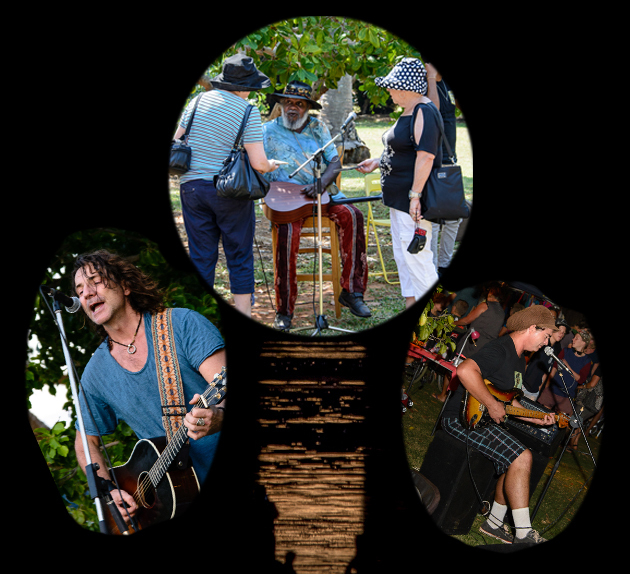 Integrating thoughtful lyrics with gentle grooves and the unique colours of backing vocals, the band’s music fuses a variety of genres including folk, rock, Celtic, classical, blues and funk to create a cohesive style that can make you think, feel and dance all at the same time. 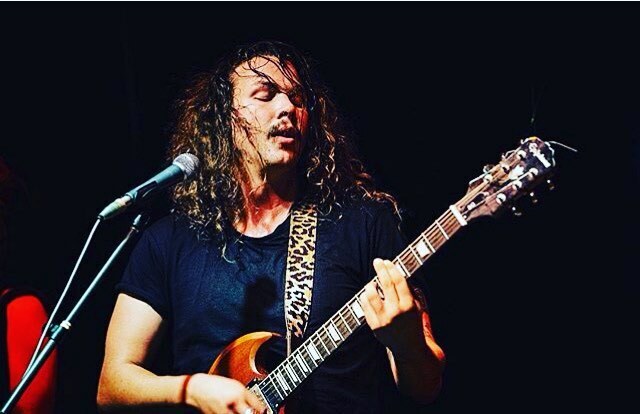 Dan Howls is an appropriate name for an artist with such a bellowing roar. 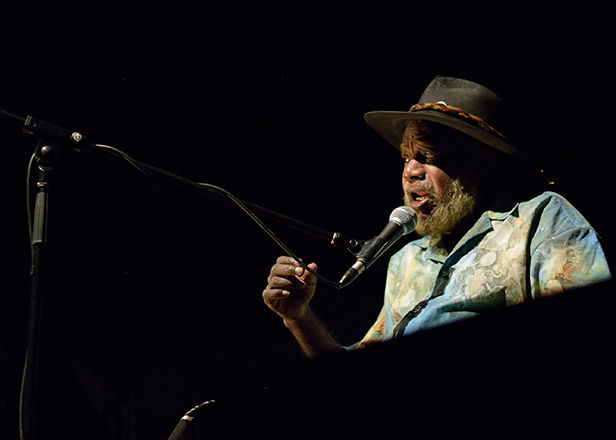 Big, gritty and acidic, it is a voice that belongs to the blues… a human being merely wields it. 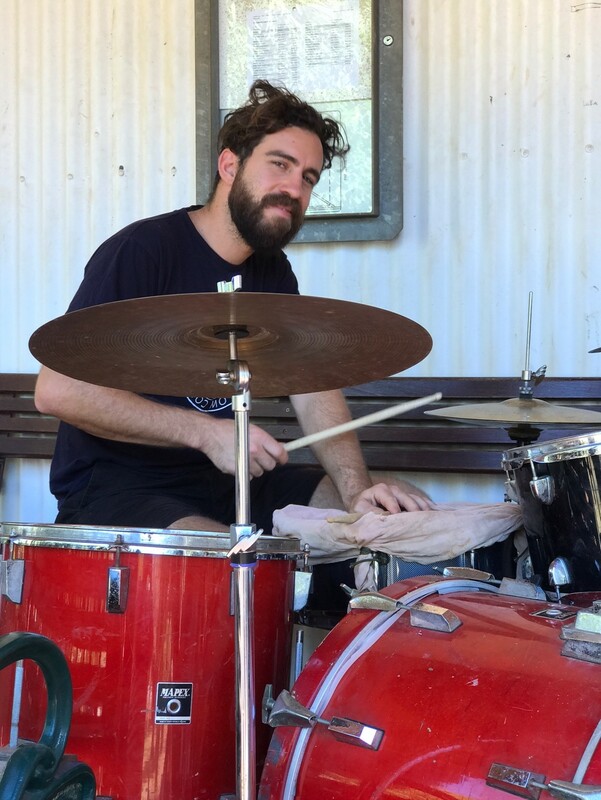 Tried and tested through years of live performance, Dan has finally unveiled his stunning debut album, A Dime A Dozen. 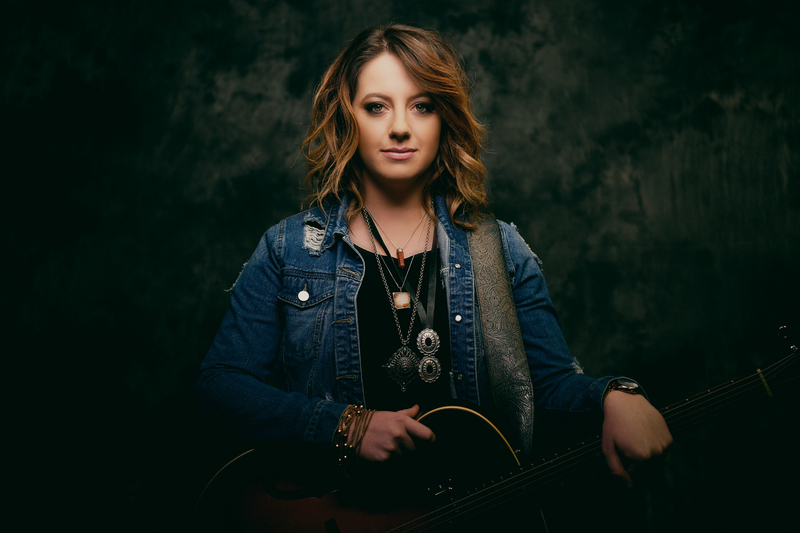 Laine Wolfe is a singer/songwriter and multi-instrumentalist creating her own brand of Rootsy Rock ‘n’ roll: soulful, earthy, and delivered to the beat of her trademark custom made suitcase drum. 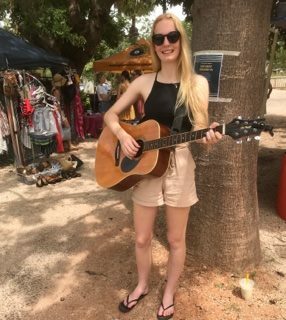 Originally from Sydney, she trekked across the Nullarbor to a new life in the beautiful wine growing region of Margaret River, WA and this is her second trip to Broome.